Looking for fresh seafood? The San Fernando Valley has embraced the seafood restaurant Bonefish in the Northridge Shopping Mall. Six days a week Managers open every container of fish they receive to inspect the fresh fish. Upon their approval, the chef’s hand cut fish daily before it is places on an oak wood grill. Bonefish first started on January 15, 2000 in St. Petersburg, Florida. Today they have 200 restaurants with two in Southern California, one in Northridge and the other in Tustin. Inside the Northridge restaurant the design is sleek and clean with light and soft wood. The metal mirror scales of the Bonefish on the main dining room wall are the focal spot inside the restaurant. The scales shimmer on the tables nearby. Porthole lights offer an elegant, polished nautical theme. All the servers wear white chef coats. At first I thought the chef was coming out to welcome us and take our order. Instead, there are no busboys or table runners; the servers are trained to discuss each item on the menu, as if they were the chefs who prepared it. If an order is ready to be delivered to a table, any available server brings it to your table. During lunch the servers know that many guests have time constraints, so they bring out most of the dishes within 10 minutes. It’s all about teamwork. Bonefish Grill has partnered with Ocean Trust – an award-winning ocean conservation foundation by contributing $1 from every Mango martini sold. 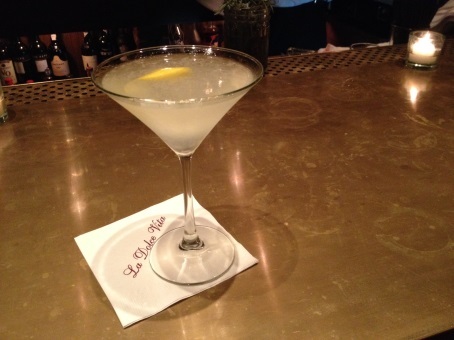 It’s made with Absolut citron, muddled mango, fresh orange juice and a surprise twist. They also host special fundraising promotions and events to support new trends in the status and sustainability of seafood. 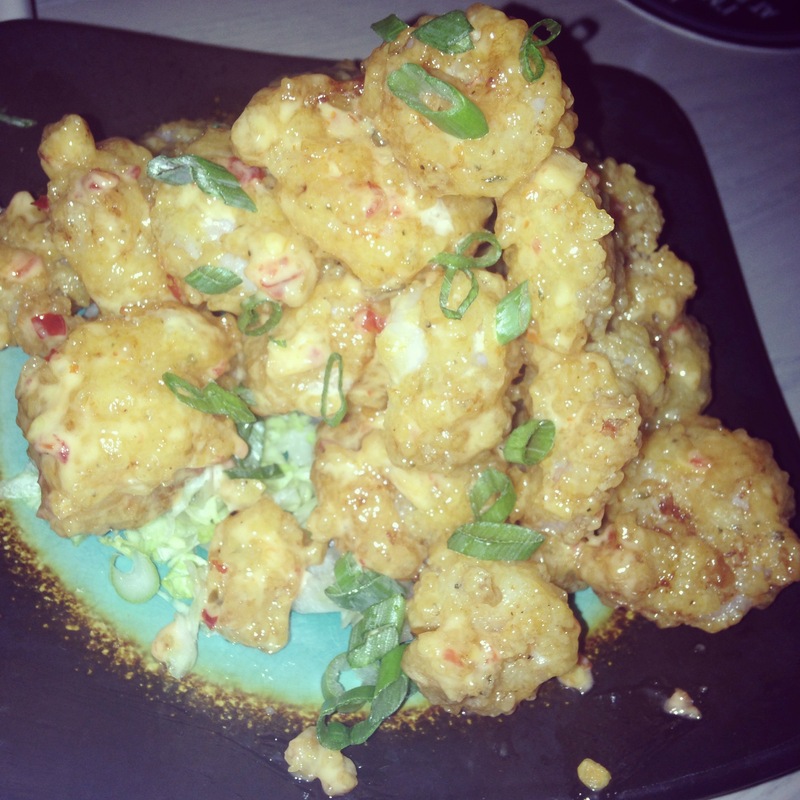 The day I took my brother to lunch at Bonefish, we enjoyed the appetizer, Bang Bang Shrimp. On Wednesdays this lightly fried shrimp with a slightly sweet and spicy sauce is $6 instead of $10.9. Another fun appetizer is the Twisted Edamame hummus served with citrus roasted tomato salsa. It’s served with pita. The twisted edamame was a California creation that started in the Tustin location and opened in the Northridge location. Now it’s being added to menus all the way to Florida. On Tuesdays Bonefish celebrates Tales of Lobster with succulent dishes starting at $7.90. A five to six ounce cold-water lobster tail is under $8. They also serve lobster sliders with fries. I ordered the cilantro lime salad for lunch. 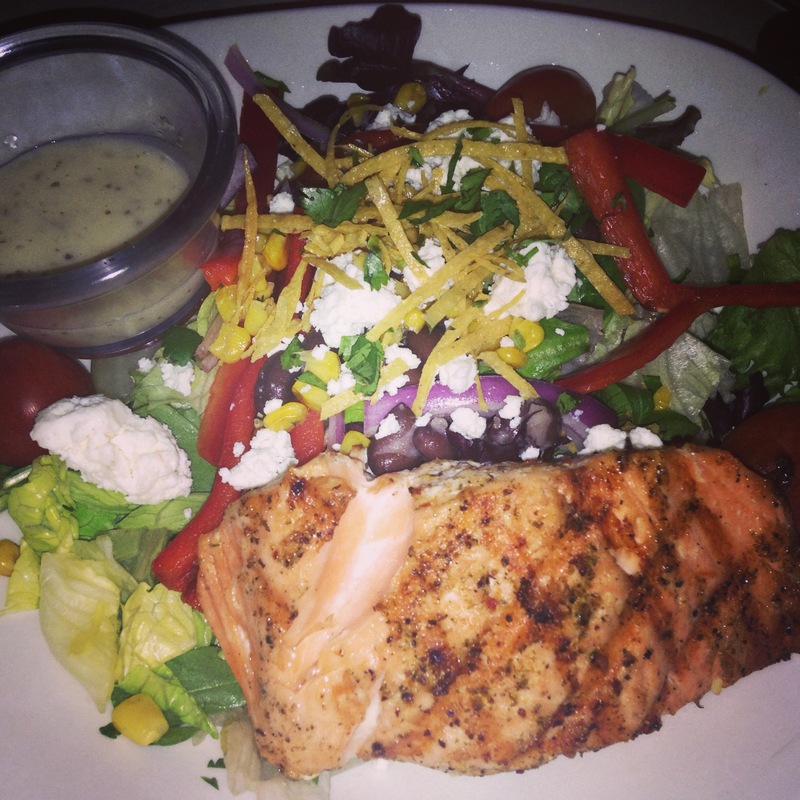 You can add herb-grilled chicken, shrimp, salmon, Ahi tuna or sirloin steak on the salad for protein. 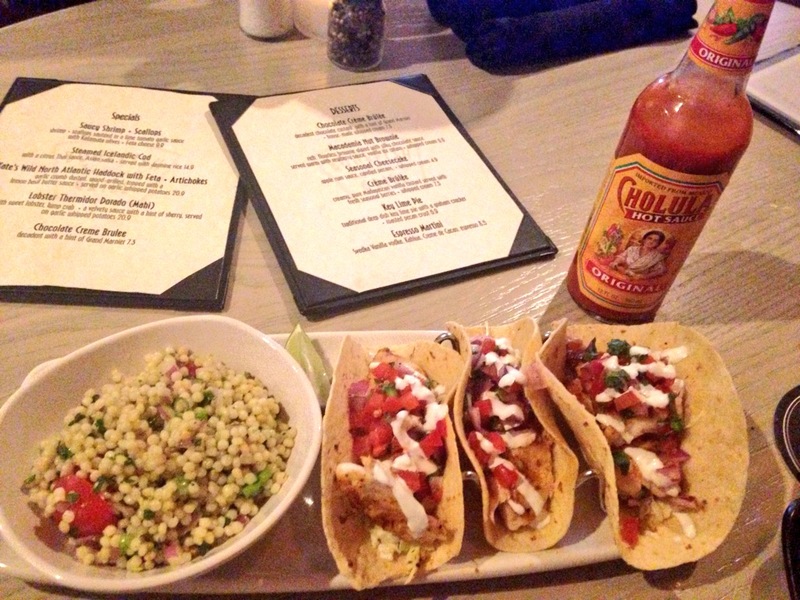 My brother enjoyed the grilled tilapia tacos with pico de gallo and fresh cabbage to offer a crunch. The lime crema offers a coolness and sweetness to each taco. Side dishes with many dishes during lunch include Thai coleslaw; pesto couscous served cold at lunch and Parmesan dusted fries. During dinner hours, the sides are a vegetable medley, a warm pesto couscous and a savory potato au gratin. Dinner is a more relaxed environment with grilled fish and steak options that may take a little longer. I recommend the fresh Chilean Sea Bass served in two sizes. The indulgent 8-½ ounce dinner size portion for under $30. Served with a warm mango salsa it plays off the sweetness of the fish. The Sea Bass is cooked to a consistency where it just melts in ones mouth. Also the lobster Thermidor Dorado topped with sweet lobster and lump crab and topped with a velvety sauce with a hint of Sherry is a hit with customers celebrating a special occasion. Wood grilled fish can be topped with herb pesto, Oriental with soy, Teriyaki and sesame oil, and mango salsa or lemon butter. The filet mignon and sirloin steak have two sizes and price points, depending on a guests appetite. The USDA Choice beef is the same quality that is served at Flemings Steakhouse. One can always order a Gorgonzola or blue cheese crumble on top of their steak. There are nine sides served with all entrees that include pumpkin and squash ravioli topped with a sage brown butter sauce. 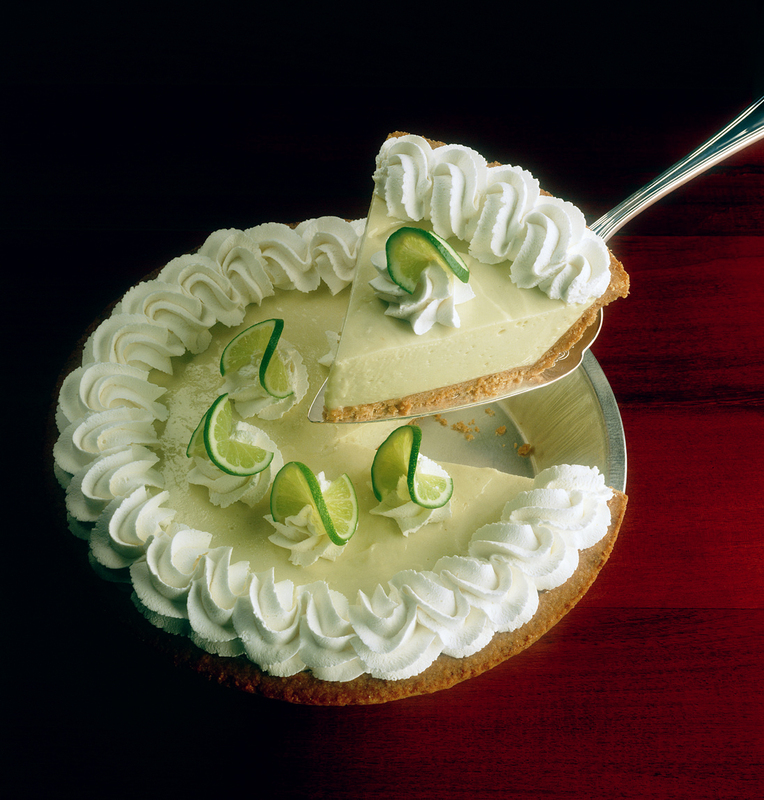 Be sure to save room for a piece of Key Lime pie with a roasted pecan crust. It’s made from the recipe of the first Bonefish Grill in Florida. It’s fresh, sweet and slightly tart. The price point on the menu is reasonable for the quality of the food and level of service delivered to each guest. Sunday brunch is from 11 a.m. to 2 p.m. with the Endless brunch for $19.9 with omelets and various egg dishes with endless Bellinis or mimosas. Bonefish offers a gluten-free menu too. Phone: (818) 998-3430 – www.bonefishgrill.com.